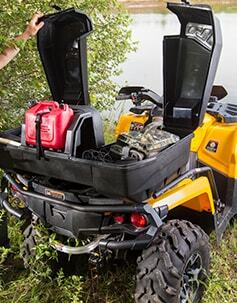 The NOMAD ATV Trunk storage capacity is superior to every other trunk in its category. 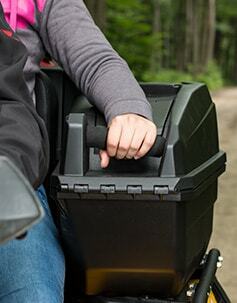 The Trunk offers a wide variety of configurations and can be adapted to any situations. 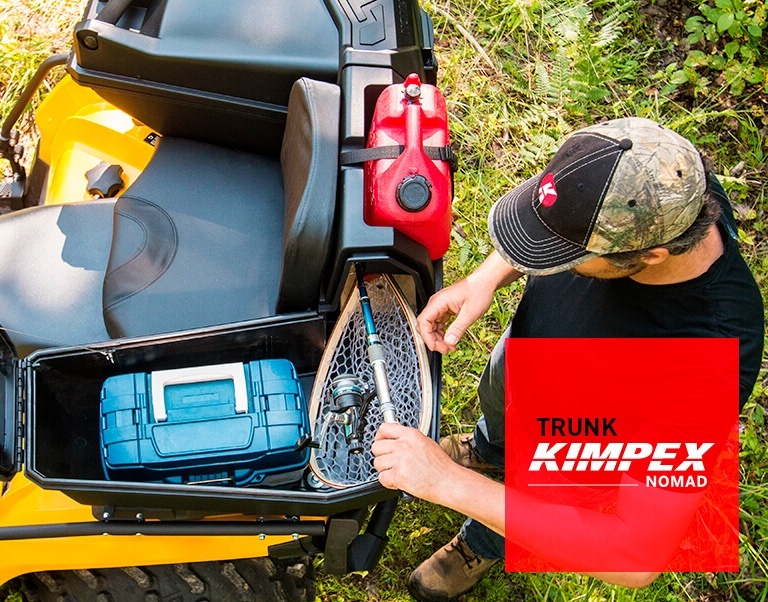 With its passenger seat and the Quick and Easy installation, NOMAD is the ATV trunk you need! WHETHER IT’S FOR WORKING, HUNTING, FISHING OR AN EXCURSION WITH A PASSENGER, THE NOMAD TRUNK SHOWS ITS PRATICAL AND USEFUL SIDE FOR EVERY SITUATION. Why the nomad trunk ? 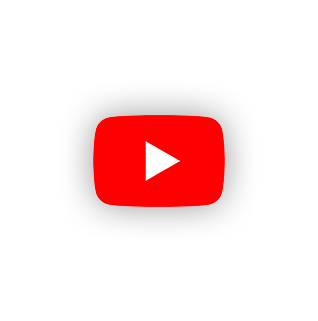 Remove the top pannels in a few seconds to use as a tool box or carry oversized items. 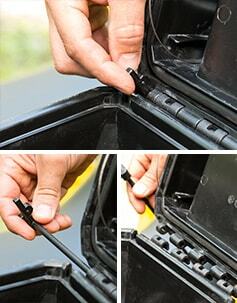 Compartmentalize the inside of the trunk to protect smaller objects from moving around. Secure your oversized items by strapping them to the edge of the NOMAD trunk. Store your longer items behind the seat with the optimised trunk storage space. 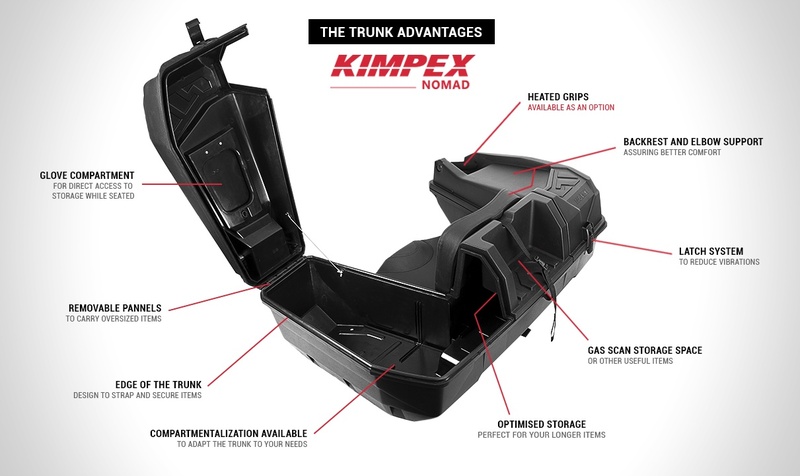 Storage capacity superior to every other trunk in its category! Insure the best comfort to the passengers with completely reconsidered ergonomics of the backrest, support of the elbow and optimized grips’ angle. Quickly access storage while seated by using the glove compartment located on the left side of the trunk. 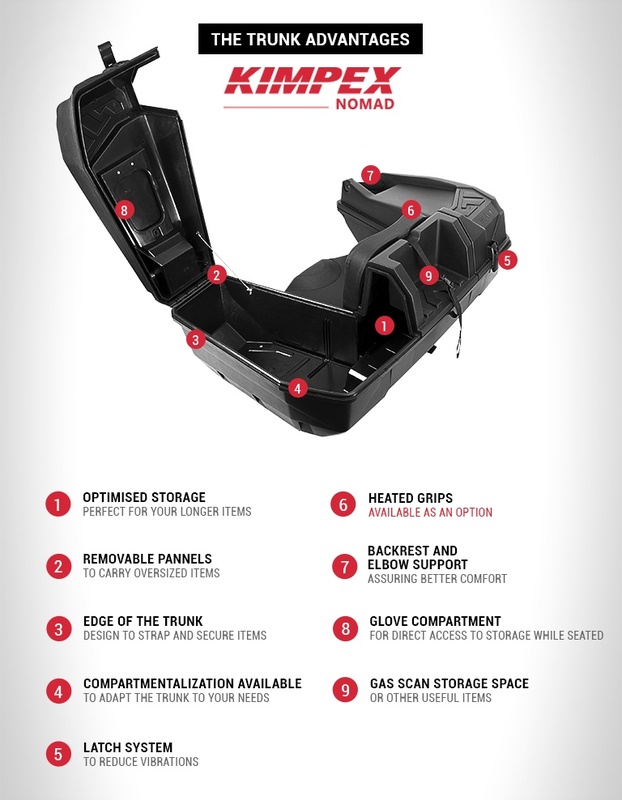 Keep your passenger warm with the purchase of the NOMAD trunk with heated grips version. 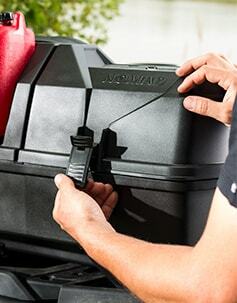 Protect your items from water and dust with the seal incorporated to the top of the NOMAD trunk. Reduce the vibrations and protect your belongings with the secure closing mechanism.